A cop in South Carolina is being bombarded with marriage proposals after a picture of him and a kitten he rescued hit the internet. 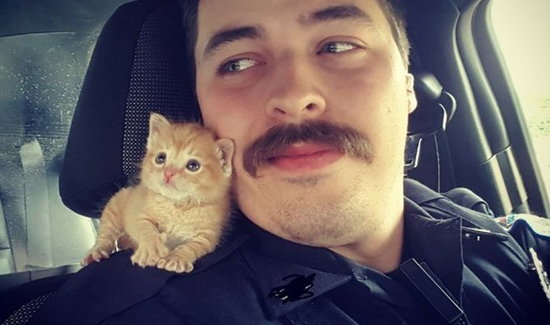 Police officer Cody Garrett of Spartanburg, South Carolina, told the Huffington Post he and a fellow cop found the kitten in a dumpster while out on patrol. Garrett adopted the cat and named her Squirt. While he’s not looking for romantic attention (sorry, ladies, he has a longtime girlfriend), he told HuffPo he does hope his viral story helps people think more positively about cops.